hiking, fishing and hunting；camping, survival and any outdoor activities；army and military needs. This mini tool is equipped with a standard set of tools and completes the same everyday tasks as those big tools not only can save a lot of storage space, but also safe secure and convenient carry .due to have a comfortable case，effective multitool kit that can be worn on your belt . in your pocket, in a camping backpack or in a special bicycle bag or car trunk. 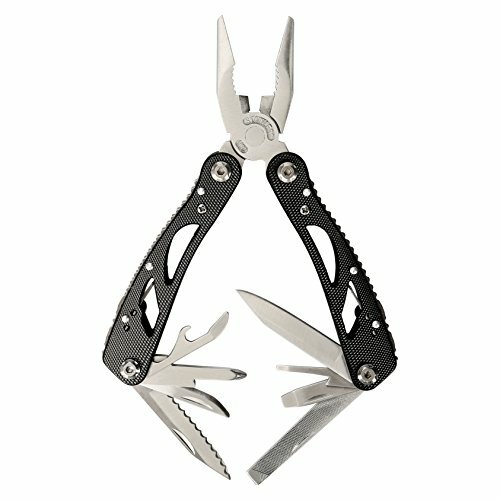 If there was any problem with your multitool you can easy to reach customer service to solve all your problem in 24 hours. If you have any questions about this product by Lifegoo, contact us by completing and submitting the form below. If you are looking for a specif part number, please include it with your message.